Home » Blog » Before & After » Why HCG Slimming Injections? 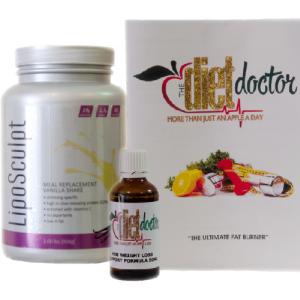 Everyone is talking about slimming injections and wanting to find out more…so I’m here to tell you a little, about the most amazing weight loss solution. In fact life changing. These fat burning injections are simply the best answer to getting rid of stubborn fat. I can say this in all honesty after using them myself and losing 34 kilograms in 3.5 months. That was 5 years ago and I have kept the weight off. There are 3 types of fat found in the body. Normal fats, abnormal fats and structural fats. While structural and normal fats are useful for nourishing and protecting the body, the abnormal fat is destructive and very stubborn.This HCG weight loss product attacks the excess trapped abnormal stored fat on the body and breaks it down mobilising it using it as energy and fuel. You will feel your body Shrinking and getting lighter almost on a daily basis. If you are struggling to lose weight and need some help to trigger your weight loss then these fat burning injections will be life changing for you. I’m sure many of you are like me and have tried different diets, or you have even decided to make healthier food choices, perhaps even begun exercising, in order to try and lose weight, but with very little success, as that stubborn abnormal excess fat just seems to stick, no matter what you do! I know how frustrating this can be. This is why you need these HCG slimming injections. without any expensive pills or supplements and even without any strenuous exercise regimen. The best thing about using this weight loss slimming Program is that you Lose the weight in the areas where you need it most. You will lose that stubborn weight in places that you May have found almost impossible to lose before. No expensive foods required. You will not feel hungry and you will have boundless energy, with a general feeling of overall well-being. You will be thrilled as you feel your body Shrinking, day by day. If you want to lose weight quickly, get healthier and just generally feel good about yourself then you really should not delay …start losing that weight now. You will be so happy you did and you will be able to once again enjoy the quality of life you so deserve.